Colors’ Savitri Devi College and Hospital traces the journey of a young intern Sanchi Mishra. She has joined the hospital to fulfill her mother’s dream. Sanchi has become a doctor and wants to master in the medicine stream. She encounters many people in her journey. Dr. Anand is the hospital’s head. The story then unfolds, getting more about every character around Sanchi. They all have some hidden motives and mixed emotions. Sanchi’s life connects with them in unexpected manner. Jaya and Anand had a bitter past. Anand named the hospital after his first wife Savitri. He is now married to Gayatri. Jaya wants Sanchi to settle scores with Anand. Sanchi gets accompanied by other interns in the college. Anand rejects Sanchi’s admission form. Sanchi manages to get admission and strikes her fight with the cold hearted Dr. Anand. He is a strict-natured, practical, ambitious and talented doctor. He is the founder of Savitri Devi College and Hospital. He works as the head cardiac surgeon. He has set certain protocols, which he wants the complete hospital staff to follow. Dr. Anand has some past, which he does not wish to come up. He has lost his first wife Savatri and named the hospital after her. He is proud of his success. He can’t afford to let anyone spoil his happiness, respect and peace. He is very much alert and knows to keep enemies at bay. Jaya is a strong, loving and caring woman. She never learnt to accept failure in life. 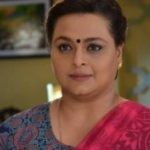 She is Sanchi’s mom. She has raised Sanchi alone. She is Sanchi’s best friend and guide. She wants to settle scores with Dr. Anand. She prepares Sanchi for joining Savitri Devi College and Hospital to fulfill her dreams. Jaya hides a big secret from Sanchi. She makes Sanchi target the hospital. She is very much focused and determined. She knows what she wants from life. She does not let any sorrow break her confidence. Sanchi means the world to her. She is a young, simple, decent and obedient girl, wishing to fulfill her mom’s dreams. She is a doctor by profession. She has her biggest support in her mom Jaya. She joins Savitri Devi Hospital as an intern. Sanchi is full of life and a happy soul. She is much strong. She does not accept anything wrong happening in front of her. She believes in humanity. Earning just money was never Sanchi’s motive. She cares for human live over hospital protocols. Sanchi is very talented. She has earned everything in her life by hardwork and determination. Veer is a cheerful, handsome, prankster, and happy go lucky guy. He is Dr. Anand’s son. Veer is also a doctor by profession. He finds happiness in almost every moment. He is smart like his age, and innocent like a kid. He has bundles of talents in him, but he passes much time hanging around. He likes doing mischief, believing it lightens the stress. Veer is close to his sister Priya. They both are each other’s support system. Veer does not accept his stepmom Gayatri. Some insight about the hospital’s past and present is given by a voice over. All the characters are introduced in a dramatic way. Jaya sees the hospital name board. She sees the founder’s name, Dr. Anand. She still has many memories fresh, while many things changed around. The founder of the college, Dr. Anand Malhotra is seen. He addresses the media and tells them about the successful 15 years run of the hospital. He gives the success credit to his family and hospital staff. Anand and his wife Gayatri share a good bond. She goes to put garland of Savitri’s picture. Sanchi and her mom Jaya’s bond is seen next. Jaya wakes up Sanchi and asks her to get ready. Sanchi is Jaya’s pride. Sanchi wants to fulfill Jaya’s dreams by becoming a big successful doctor. Jaya sends Sanchi there to take revenge of her father’s death. Priya stops Gayatri from putting garlands on Savitri’s picture. Anand apologizes to Gayatri on Priya’s behalf. Gayatri acts to be good. She understands that her drama is not working on Priya and Veer. Sanchi and her friends Pragya and Esha meet up. Pragya is a minister’s daughter, who has no interest in medical internship. Similar case is with Esha, who wanted to become a model, but took up internship for her dad’s sake. Anand’s entire family is introduced. His daughter from his first wife Savitri, Priya gets angry on her stepmom Gayatri. There is a conflict at home about Anand’s second marriage. Anand finds good support in Gayatri, while she is not much good hearted. Anand depends on Gayatri and trusts her a lot. Anand goes through the admission lists, and comes across Sanchi’s name. He knows Sanchi is a bright student, but does not want her in his hospital. He excludes her name from the list. Veer gets introduced. Veer plays a prank on Sanchi. They have a bad start. Sanchi slaps Veer and asks him not to dare to do such thing again. Sanchi gets upset on not finding her name in the list, while Esha and Pragya get glad on finding their names. her friends to get admission by wrong way and then find out why she did not get admission. Sanchi does not want to cheat anyone. Sanchi saves a boy’s life. Esha introduces her as Sanchi Agarwal to Dr. Anand. He gets impressed with Sanchi’s presence of mind. He asks her to remember hospital protocols. Esha attends Jaya’s call and lies to her about their plan. Sanchi gets through the admission process with a new identity. Jaya gets hopeful that they are getting closer to their dreams. Veer and Sanchi’s next meets gets funny. Anand throws a party to celebrate the hospital’s successful run of 15 years. Gayatri starts her plotting against Priya and Veer. They try to keep their happiness secured. 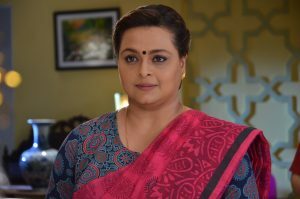 Jaya holds a mystery about Anand. She decides to tell Sanchi everything when right time comes. Jaya believes in Sanchi, that she would always be supportive. Sanchi prepares to cross many hurdles. Her lie starts making her feel guilty and also poses new problems. Story has mix of drama, emotions and suspense. Romance would be seen sometime later. It has all aspects of a good daily soap. Revenge drama runs parallel with the hospital twists. By the first week, the show keeps up the interest, throughout the episodes. The show’s name could have been more catchy. There are some loopholes in the storyline. That gets skipped by the natural performances. Mohan Kapur and Shilpa Shirodkar are brilliant enough to make the viewers love their characters. 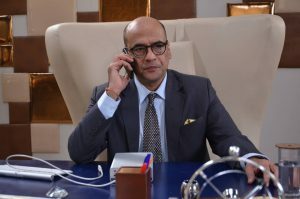 Mohan carries off the role of Dr. Anand with ease. Shilpa also does complete justice to her role of Jaya. 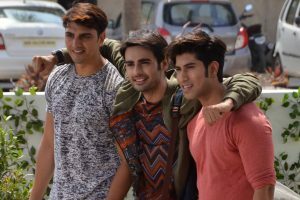 Varun Kapoor as Veer is the bright element of the show. when the scenes get boring, Varun’s entry promises freshness and fun time. Swarda has to become more convincing. Her natural appeal loses out in few scenes. Based on number of characters introduced, viewers can expect many tracks running together. The show’s one hour slot is fairly needed to put light on characterizations. The mystery element grabs good interest. Emotional scenes might be better if toned down a bit. The medical background in the concept is an advantage for the revenge-family drama. A good attempt by Colors. The show is worth watching. Light moments of college fun add humor. Balanced dose of drama, suspense and emotions. Performances are the highlights. 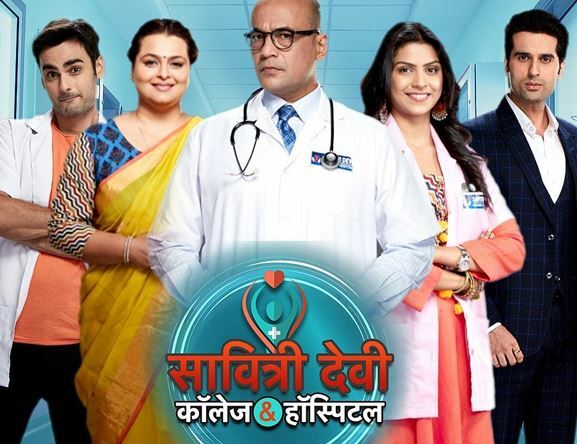 If its able to sustain its interesting story without any diversions, the show might be next big medical drama of small screen. I saw Vikram Sakhalkar come first before Varun’s name at Wikipedia as Dr Kabir, i saw the picture of the serial with Vikram face, not Varun, but here Vikram even not coming yet ? IF ONLY, at upcoming episodes, there will be love triangle between Sanchi and both Dr Kabir and Dr Veer, for example, both Doctors falls in love to Sanchi, but Sanchi loves the strict one, Dr Kabir more than Dr veer, and treat Dr veer as best friend. Meanwhile Dr Kabir gets difficulty to express his feeling, makes Sanchi finally fall in love to Veer as veer more easy to express his feeling by his character. Something interesting for me is the word MEDICAL, i wish it will be more about MEDICAL SCIENCE thingy on that serial other than only another Saas Bahu drama or intrigue LOVE drama and ruining the GIRL character on the beginning. But we ever got that from Rashmi Sharma at Swaragini, 2 talented full of dreams girls from musical college turned to girls which only busy about boys. Will Sanchi become next ?? I did not life lead actress performance at all. How did you feel about it? You mean like , me too i feel here performance not that good ? Last line really funny like you will delet anyone off the topic comments ? So all comment will be with the topic of course ? So veer is the male lead…kind of expected that. …I guess dr kabir is supporting cast…hmm..so sanveer is in the making. .
only varun is the attraction??? ?don’t want any stupid triangle.. I love Sanchi Veer and kabir. All of them are fabulous.. I think there’ll be a love triangle between them and would like to watch it.. Honestly! Introduce more medicine along with some more scenes of Dr kabir and Sachi and Veer. The jaya mishra, ancient grudge drama including the exhaggerated suspense is not needed. Pls dont make this a full time sad drama. Introduce more happy scenes and some medical love? I definitely want a love triangle between the 2 male doctors and Dr Sanchi but, Sanchi should fall for Dr Veer she should be hard to impress as she has a motive I don’t think any other characters like esha or pragya should like any of the doctors. It should stay as Reyha being the villain who feels for Dr Kabir however he doesn’t ever like her back, he should always like Sanchi but eventually accept Veer and Sanchi’s #SanVeer?